Isabella Motadinyane was born in 1963 in Mofolo Central, Soweto. She went as far as Grade Five in her formal schooling. She studied piano at the so-called “Five Roses Bowl” and attended dance and acting classes in Jozi. As a result of creative writing workshops she wrote the poem One leg in which contains the phrase die is mos botsotsos. This phrase afterwards gave rise to the name of the Botsotso Jesters, the poetry performance group of which she was a founding member in 1994, and whose publishing arm, Botsotso Publishing brought out the two collections, We Jive Like This (1996) and Dirty Washing (1999), from whom the poems in this collected works are taken. She was brought up by her grandmother and adopted the surname Motadinyane even though, when she traced her roots and the whereabouts of her absent father, she discovered that he was from the Mabalane family of Meadowlands and Ndofaya. 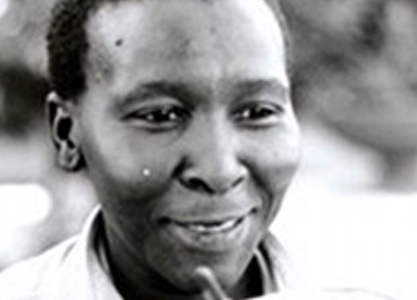 At the time of her death on 19 February 2003 – her fortieth birthday – she was living with her mother in Orange Farm. As a stage presence she was unique – confident, varied, vivacious. Her rich voice both sang and spoke, infusing her poems with great musicality; as significant, they worked equally convincingly on the page. Her voice is captured on the Botsotso Jesters cd, Purple Light Mirror in the Mud (2001). Indeed, Isabella Motadinyane used Isicamtho and Sotho to create a powerful legacy of performance, poetry and song. A collection of her poems (as previously published with the Botsotso Jesters) entitled Bella was published in 2007.